Ruger got an email about how we go about getting ready for winter. Here in the Pacific Northwest we have winter and getting prepared for it starts early. 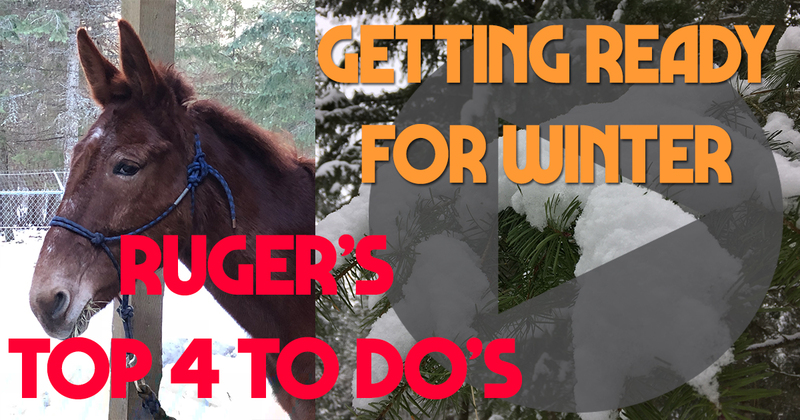 Here’s the top 4 things on our winter readiness list that we use for Getting Horse and Barn Ready for Winter! #1 – Ensure we have enough hay. Nutritional guidelines recommend that a horse should receive 2% of his body weight in forage every day. For the “average” 1,000-pound horse, that equals about 20 pounds of hay per day, 600 pounds of hay per month, or 3 months to the ton. I also have our hay analyzed for nutrient content so I can make informed decisions about any grain or supplements. Make sure our water supply won’t freeze or get icy cold. 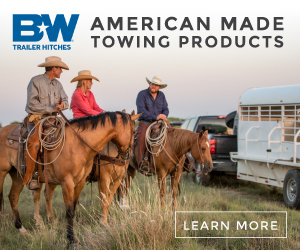 Horses and mules drink around 10 gallons of water per day and research has shown they like it best between 45 to 65 degrees and tend to drink less when water is very cold. Decreases in water intake can lead to colic, so I want to do everything I can to make sure they’re drinking. I make sure the tank heaters are ready now because once the temperature drops they’ll sell out fast. My goal is always be to maximize the amount my horses horse drink to help prevent dehydration and colic. #3 – Do we have enough light? We all know that winter means less daylight for riding. This can also make chores—and late-night emergency veterinarian visits—hairy if you rely on the sun when caring for your horses. Are your stalls bright enough for grooming or doctoring a horse during dark winter days? When you’re feeding at night, will you have enough light to see if the hay you’re feeding is green and not moldy? Probably the most commonly asked question every winter is whether a horse should be blanketed. I figure that equus equus has survived for millennia without our intervention so healthy horses that have been able to acclimate to the colder weather should have warm, wooly winter haircoats on their own. Even though I try not to blanket, we still keep blankets handy in case we should need them. Horses that haven’t grown winter coats, those that are clipped, or have problems maintaining weight may need blankets to help keep them warm. Check with your vet. I worry more about over blanketing. If it warms up even a little bit, the horse can get too hot and that can be just as bad as being too cold. Again, check with your vet. Preparing for winter can feel daunting, but it’s less of a project than fixing problems later. Getting horses and facilities ready in advance can help ensure you weather the transitions from fall to winter to spring without a hitch. Thanks for the question! 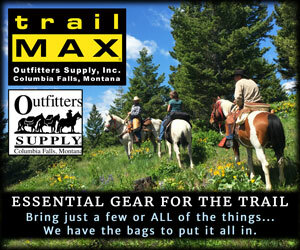 If you have a trail riding or horse camping question, Ruger says send it in!